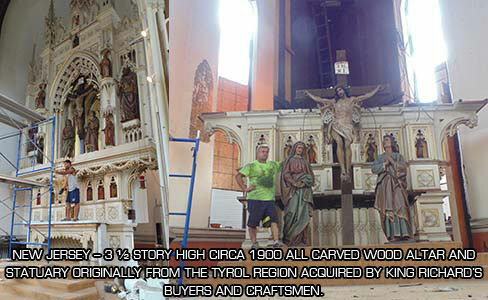 Custom new designs or handsome classic choices ... for assistance, call (678) 393-6500. 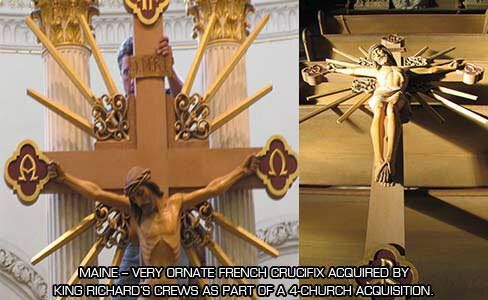 See our cross in your church, today! 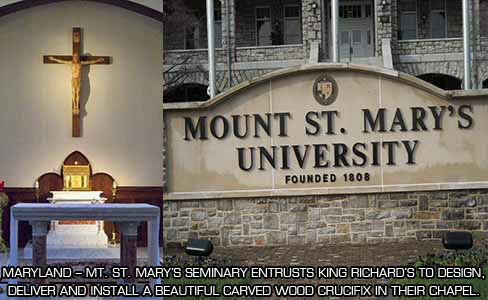 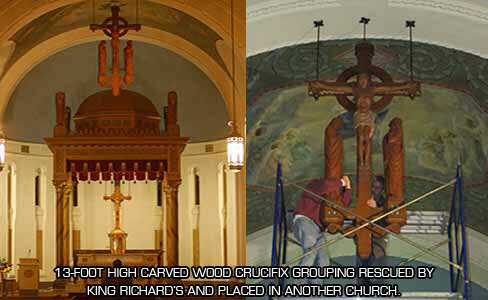 Many churches, schools, hospitals and religious institutions require crosses and crucifixes to adorn their interiors. 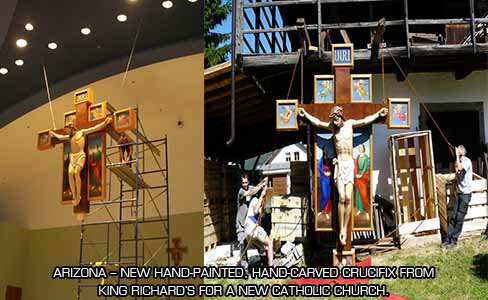 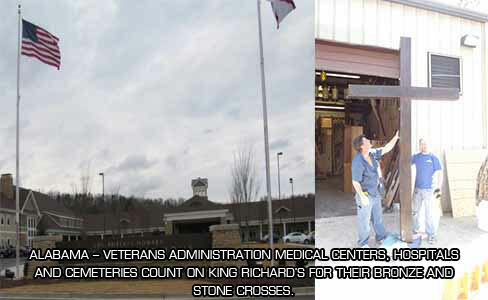 With an eye toward beauty and quality, King Richard's has amassed the best selection of new and antique crosses and crucifixes in the world. 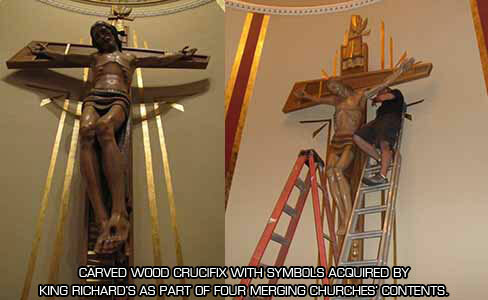 We offer the largest line of crosses and crucifixes in the industry, along with superior service, all at competitive prices. 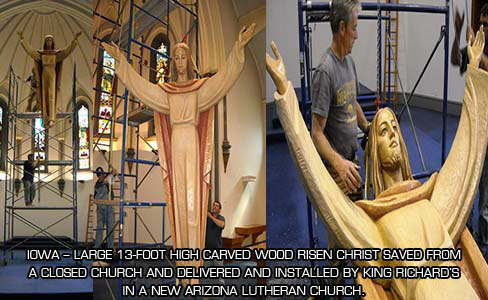 There is no design we cannot make, whether it's in marble, stone, resin, bronze or carved wood. 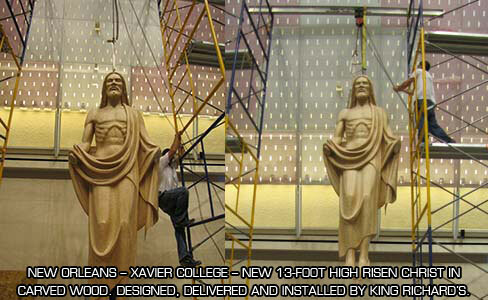 Additionally, we sell hundreds of large-scale crosses and crucifixes annually, safely shipping them to our many national and international clients.